There are many basic parts to a garage door. Poor installation, common wear over time, faulty components, and other problems that expedite the wear. These components can fail at any given time but can be prevented with the help of routine maintenance from a trusted professional. United Garage Door Service of Henderson would like to take to elaborate on the basic primary components, and the common problems they are likely to experience. 1) Garage Door Panels. 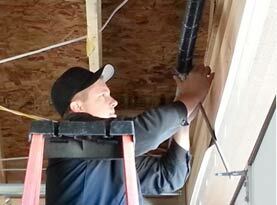 The sections or paneling of the garage door is what makes up the garage door. Inadvertently making contact with the car while it was closed, kids playing too close, and other scenarios can make the sections of the door can become dented or damaged. 2) Garage Door Hinges. The hinges connect the sectioned panels, which allow the garage door to bend. If they are not maintained and lubricated as needed, the hinges can break or crack. 3) Garage Door Sensors. Safety sensors are found on either side of the door near the floor. While one sensor sends the laser, the other receives it as they communicate with the opener. In the event something blocks the line of the laser so that it can’t reach the receiving sensor, the garage door will not go down. 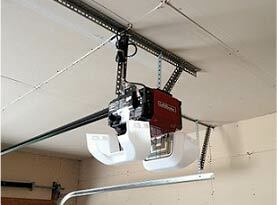 For any new garage door opener since 1992, the US has required this safety precaution for any new garage door opener. Should your garage door only go down a few inches before rising back up it can be likely to the sensors being misaligned or obstructed. 4) Garage Door Tracks. The tracks on either side of your door serve as a guide, and they lead up to the garage ceiling. The tracks need to be wiped down and lubed and free of debris tin the event garage door doesn’t open and close smoothly. 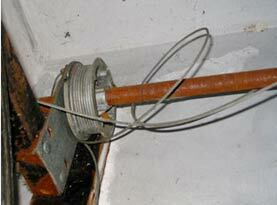 5) Garage Door Springs. Above your door is under a considerable amount of tension as the torsion springs supply the power to lift your extremely heavy door. If the spring breaks or starts making noise, do not attempt to fix or adjust the spring. Requiring the training and skills of a professional handling the garage door springs are particularly dangerous. On older garage doors, it may depend on the horizontal track being fitted with safety cables and configuration techniques as well. 6) Garage Door Opener. In the last decade alone, the garage doors have made leaps in bounds. Allowing access for use from a Smartphone or a computer, openers are equipped with more safety features and even Smart technology. 7) Garage Bottom Seal. The seal offers protection from weather, serving multipurpose, gives the door a more proper fit, gives the door a bumper as it closes. The rubber seal needs to be replaced when the bottom seal eventually becomes loose, brittle or cracked, giving full access to pests and weather. Hiring a professional for maintenance and repairs is essential for the warranty of your garage door to be validated, more often than not. To ensure safe and efficient repairs, professionals from United Garage Door Service of Henderson is the necessary solution. 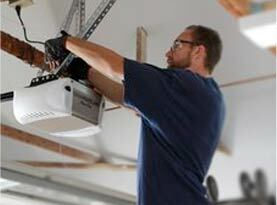 When your garage door requires maintenance or repairs, call our experts today and let us take care of you!